Jared Unzipped: This Action Figure STINKS! Yep... just like the title suggests... this action figure really smells terrible! In 1985, the Masters of the Universe toy series was one of the hottest around. Mattel had a sure-fire hit on their hands, with little competition from other manufacturers (except for Hasbro's Transformers). That same year, Mattel included a peculiar new figure in the Masters of the Universe line-up. It's name was Stinkor. And when they said Stinkor... they weren't kidding. As part of the toy's gimmick, Mattel decided to make Stinkor a monstrous skunk monster that actually reeked. 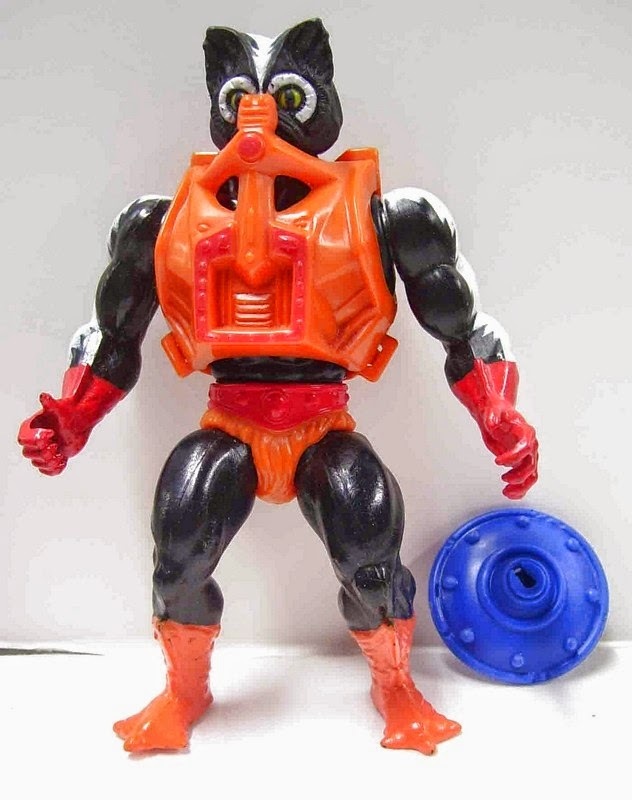 As described on the figure's package, Stinkor was the "Evil Master of Odors". Boy, were they not kidding. As soon as you tore Stinkor loose from his packaging, the pungent odor ingrained in the toy hit you like a ton of bricks. Years later, it was revealed that the secret to making Stinkor smell so horrific was a twisted patchouli oil concoction mixed in with the plastic. Yet, here's the disgusting part. Thirty years later and Stinkor STILL STINKS! I was lucky enough to own an original Stinkor as a child. Masters of the Universe was one of my favorite toy series when I was little. While digging through my office closet the other day, I happened to look in a bin of old toys. Inside were the majority of my Masters of the Universe figures. Right on top of the heap was Stinkor, so I picked him up and took a whiff. Yep... it still stinks to high heaven. I was shocked. Not only did Mattel manage to create a memorable toy, but they achieved it in a way that no one would have expected. I guess the moral of the story is this -- the secret to earning the money in a parent's wallet is through their child's nose. Whatever Happened to Rebecca Vitsmun? Almond and Fish - YUM! The Value of the Butcher. This Soap Nerd Met a Toad! 1980's Television Retrospective: 1985 - 1986. Why We Need Less Police Officers, Not More. My Favorite Video Games: Gyruss. What to Do If You Encounter a Redneck. Art Under Fire - The Charlie Hebdo Assault. Toys Don't Have a Gender.